I recently read an interesting theory about Pixar’s 2004 animated film “The Incredibles,” a movie that smashed Box Office records and earned over $260,000,000 worldwide. With so many of these types of superhero movies being made nowadays, some successful some not, there is an outside collective of thought as to what makes a great superhero movie. 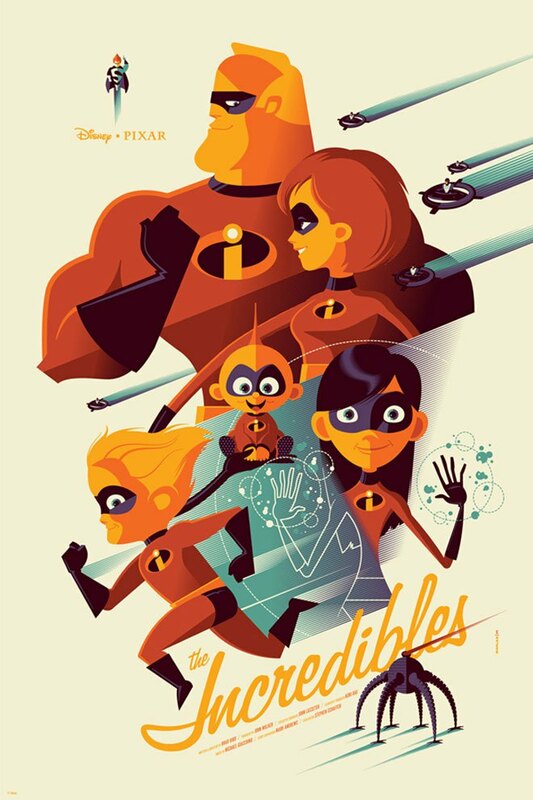 One theory, which I tend to agree with, is that The Incredibles was one of the few superhero movies that managed to take all of the characters powers and blend them together throughout the entire story. Helen transforms into a boat and Dash uses his speed as a motor. Frozone freezes the road, the robot walking on it slips, and Helen turns herself into a tripwire to make the robot fall. Violet creates a force field ball, and Dash uses his speed to hamster away. Bob throws Syndrome’s remote really far, because he knows he needs to get Dash away from the robot, and that Dash will be able to use his speed to catch the remote. Bob uses his strength to throw Helen, who is then able to use her powers to save their baby. Brad Bird, writer and director of the movie, made a conscious effort to make the fighting scenes seem so much more cohesive when every character is using their powers with other powers to complete a task. Normally these types of movies tend to have each character fighting individually, but working together made for a creative and effective hit. As it seems, teamwork pays off even in the superhero world. This got me thinking about how businesses are handling their social media and content marketing efforts these days. What used to be a job for three has merged into a job for one. I’m seeing more and more companies looking for a single person to handle their social media, content creation (blogger), and outreach. The results are less time interacting with potential customers on social media, lower quality content, and quick automated promotion. Unless you’ve hired Elastigirl, I doubt stretching these tasks is paying off. Life Is Easier With Paid Ads, But Is It More Effective? What does this all mean? It means content creation works, but if you are doing an apathetic job at it, you’re wasting your time. Having one in-house person focused on multiple tasks is spreading them too thin. You need a strategy or at the very least, a content marketing manager. But What Does a Content Marketing Manager Really Do? A Content Marketing Manager, or “Blog Manager,” completes the cycle from beginning to end. They are in charge of making sure the right content is being produced that will have the greatest impact, and ensure all content reaches maximum potential. Freelance bloggers are writers, plain and simple. They write an article, they get paid. A freelance blogger couldn’t care less about what happens to the article after it’s submitted and they get their money. The following are 7 tasks that a Content Marketing Manager handles on a daily basis. As every Blog Manager probably does things slightly differently, I’m going to share with you some of the tasks that I do with the clients I work with here at Ethical Champ. One of the best perks of meeting a new client is finding out that they already have a blog. Even if they think their blog has been a total failure, there is usually a hidden gem or two. Using SEMRush, I can find out what blog posts rank for keywords in Google that are stuck on the 3rd or 4th-page search result. This is low hanging fruit and usually allows for an easy win and starting point with where to begin. By revamping an old article with fresh content and a new approach, you can drastically improve the position quickly as it’s already currently ranked and indexed in Google. If given permission by the client, I usually delete old low-value content and 301 direct the URL’s to stronger pages. I have had clients that have blogs that feature posts with less than 100 words or no words at all, just an oversized image. These low-quality posts aren’t helping your site as a whole, and often reducing these low-quality pages can have a significant overall SEO boost. Every blog post should start with a plan. We here at Ethical Champ spend a great deal of time mapping out our client’s monthly article topics for our content creation packages in advance, as it gives us an edge with promotion – more to this point later. One of the biggest mistakes a lot of bloggers have is creating content that has zero possibility of being found by Google. It’s like getting in your car and driving before knowing exactly where you’re going first. Having a keyword in mind when you start allows you to work it naturally into the context, while also being able to lay the groundwork for future article backlinks and expanding the niche greater in other formats in later articles. 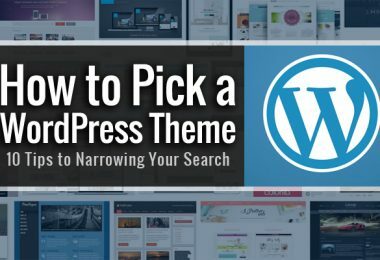 I should clarify, the goal is not to write just for search engines, as that will ruin the user experience, but there should be a plan with every post. It is possible to create high-quality content that people will enjoy and target a phrase in google that answers a question or provides value at the same time. 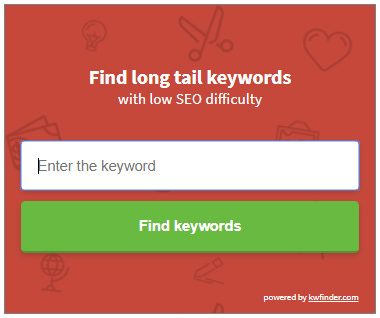 One of the best keyword research sites that I use and love is KWFinder. 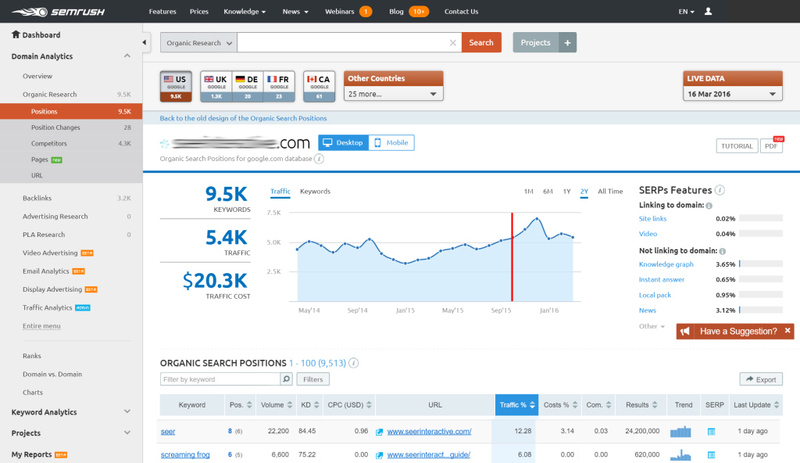 The interface is amazing, there’s tons of data to help narrow down long-tailed keywords to target, and it’s a growing company adding lots of new features all the time. A long-tailed keyword is a phrase that contains at least three to four words that someone will enter into Google. Long-tailed keywords are used to target niche demographics rather than mass audiences. In other words, they’re more specific and often less competitive than generic keyword terms. Finding the right keyword to target and ranking for it brings in traffic to a website, as you’ll be a top search result for that three to four word phrase. Try KWFinder out, see what I mean. Most Content Marketing Managers will be very involved in the content creation process. Often they will lay out a ton of talking points, and suggest keywords to use in the intro and throughout the article. Others simply give the writer freedom to create an article and then tweak it later. 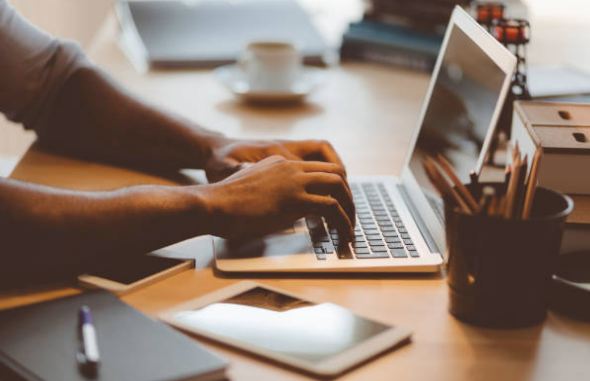 Adding things like subheadings to break up segments of the article, reference links, and catchy hooks or excerpts are usually the finishing touches to making a good blog post article that much better. As they say, the devil is in the details, so it’s not uncommon for a Content Manager’s biggest role to be involved in the editing and finalizing of the article writing process. Editing Tip: If you’re a small business needing help in the editing department, or you’re just looking to be able to send emails and documents mistake free faster, I highly recommend Grammarly. The service goes beyond the basic spelling and grammar checker. Grammarly can identify correctly spelled words that are used in the wrong context, suggest words, and the best part is it works great with Chrome. 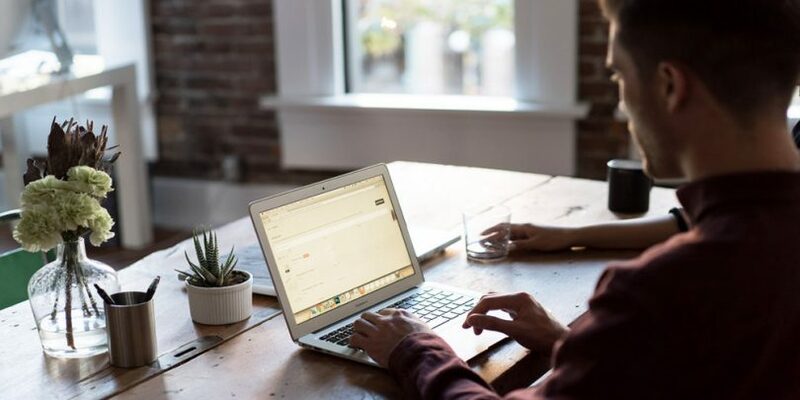 Some Content Marketing Managers will consult with an in-house SEO, however, most of the time this is a job description that falls under the Content Manager. Life as an SEO has changed. I personally feel the job title morphed about five-years ago as companies have learned that there are no magic tricks to ranking in Google. You need to build links, and creating content is one of the best ways to do that. If you’re a business that has a blog, and you’re not spending time tweaking the content before you hit publish, I would strongly suggest checking out The Beginner’s Guide to SEO by Moz. There is also a very straightforward Medium Article written by Myk Pono on SEO that works as a perfect checklist. A picture is worth a thousand words. Yet, in a world where the attention span of an audience is difficult to capture, I would say it’s worth much less. However, custom images separate you from the crowd and regain the attention that you need to gain clicks, look professional, and deliver a message. But what is a custom image? Free images are not hard to find, every pro blogger has his or her secret stash of licensed free images to use on blog posts. There is a good chance you have seen the same free photo in a blog post more than once or used in an advertisement; putting your own personal touch on the image to enhance it not only makes it original but gives your article an edge. The examples shown are just a few custom images I have done for articles this year. Not all Content Marketing Managers have a background in photoshop, some will lean on the company graphic designer to make something special to help give the article a boost. In my case, I have been using Photoshop for years, and even recently upped my game by learning Abobe Illustrator after launching an E-commerce T-Shirt website as a fun project last summer. Recommended upload size of 1,200 x 630 pixels. Will appear in feed at a max width of 470 pixels (will scale to a max of 1:1). Will appear on the page at a max width of 504 pixels (will scale to a max of 1:1). Minimum to appear expanded 440 x 220 pixels (a 2:1 ratio). Can tweet up to 4 images at one time. Can edit images if tweeting from Twitter iOS or Android app. Maximum to appear expanded 1024 x 512 pixels. Appears in stream collapsed at 506 x 253 pixels on a desktop. The maximum file size of 5 MB for photos, and 5 MB for animated GIFs on mobile and 15 MB on the web. This step is so much bigger than you think. Most marketers will say that the promotion of an article should consume 80% of the time in comparison to the 20% it takes to create it. While I do agree completely, I think the “80/20 rule” is more of a catchphrase for pro bloggers than it is a reality for business owners. In my opinion, if you have an amazing blog post you’re using to bring traffic to your website and it also works as a method of marketing to gain customers, then you should promote it every chance you get, ideally until it’s the top-ranked search result in Google for that keyword. A Content Marketing Manager works with a marketing team to enhance their reach with content to use for promotion. I truly believe a company should diversify its options with its marketing budget. To invest 100% of your budget into paid advertising, like banners or paid clicks ads, is extremely risky. If a portion of your budget is dedicated to content creation, then every month that business can increase the number of ways it has to reach out to people. It has also increased the number of ways it can be promoted. 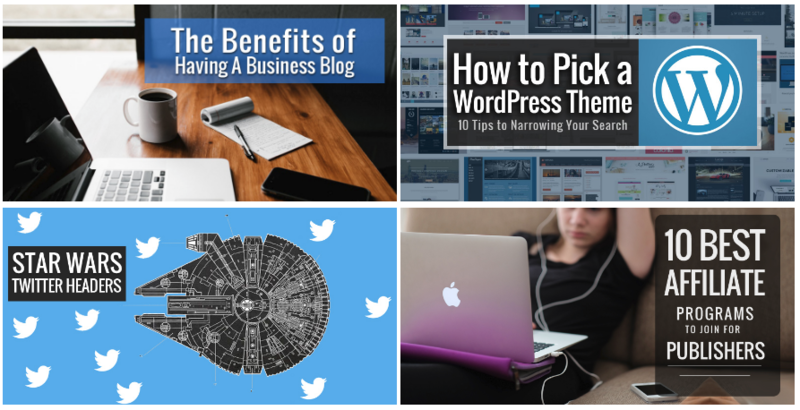 If a business has a blog, every blog article can be used as a method of promotion. Facebook Boost is excellent for this. At Ethical Champ we offer promotional services with our blog management services, but usually, we are talking directly to marketing teams. Sometimes I feel like “Q” from James Bond. 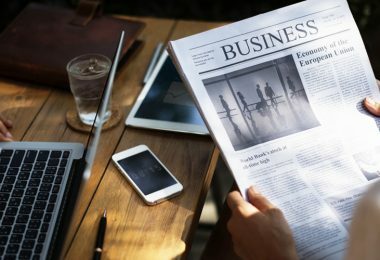 I send an email to the lead of a company’s marketing team and tell them we have an awesome new article just published and ready to be used as a kickass weapon in their efforts in gaining traffic. At the beginning of this article, I mentioned that the planning stage of a campaign can be beneficial for promotion. This is due to the fact that outreach works better if you hit the ground running. What I mean is, touching base with niche related webmasters or writers who have written similar articles before your article is published gives them a chance to feel important rather than an afterthought. For example, something as simple as asking for a quote to be included your article increases the chances they will share or link to it when it’s published. There is tons of great info over at backlinko.com, specifically chapter four of Brian Dean’s Link Building Guide, I highly recommend it. A lot of people love to stare at their Google Analytics and compare traffic to the previous week, month, or year. It’s nice seeing how much traffic your website gets each day, but personally, I don’t spend that much time looking at those numbers. Instead, I’m more interested in knowing how the content that I produced is being ranked in Google’s search results. The logic here is easy to get on board with. You create an article targeting a keyword that sees on average 900 searches per month. If you get that article on the first page of Google, the higher up in position it goes, the more of those 900 searches you will see. The best part is it costs you a fraction of what you would be paying if you were to buy that top position through Google Adwords. Ranking articles in Google to obtain organic traffic is not an easy task. It’s a process that you must work at gradually. It takes time and patience, but those who understand the investment, realize the long-term potential, and see the value that getting free traffic brings to the table, reap the benefits when goals are met. Tracking progress is an important task for a Content Marketing Manager. Unless you’re creating content with short shelf life and your focus is all about recent news, tracking the position of articles is valuable info. SEO Tip: This is another reason why I’ve signed up at KWFinder. Their premium services include a tracking service that helps me create reports for clients along with researching future keywords to target. Looking for a Content Manager? Ethical Champ is a blog management service team of SEO experts and North American based writers that will happily work with you every step of the way, or take over as virtual assistants freeing up time for you to run your business.